$6.35 This may be in stock for quick delivery; please call! 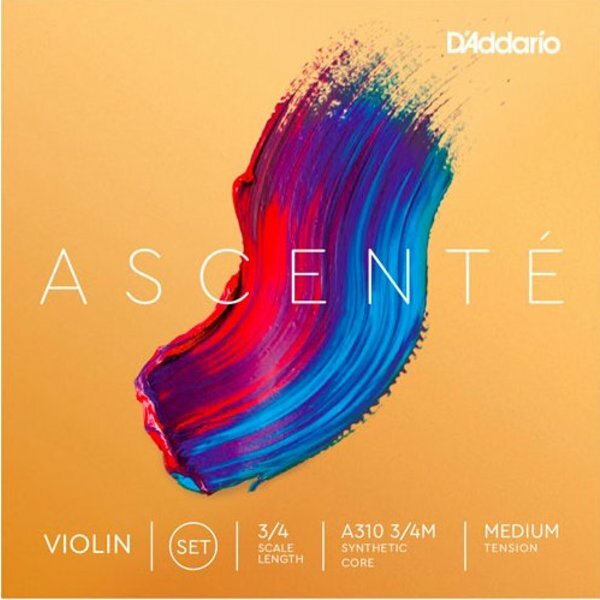 Ascenté violin strings have been specifically designed to help players advance their craft with elegance and consistency. With a wider tonal range, excellent pitch stability and longevity, and superior durability, this synthetic core string delivers a more sophisticated palette that elevates their playing to the next level. Scaled to fit a 3/4 size violin with a playing length of 12 1/4 inches (310mm), these medium tension strings are optimized to the needs of a majority of players. Packaged in uniquely-designed sealed pouches providing unparalleled protection from the elements that cause corrosion.